Grandpa was born in Wyoming, but said little about his family. 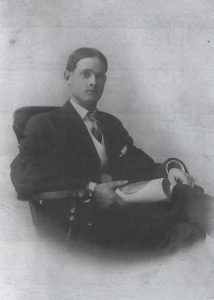 His mother Dora Ono Wilcox (1880–1916) had died from complications in childbirth, and his father died when he was sixteen. 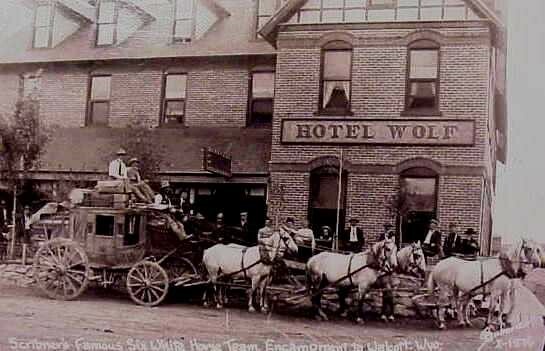 I knew my grandfather was very proud of the accomplishments of his own grandfather, Charles Merritt Wilcox (1851–1930), as Grandpa Wilcox had driven a stagecoach in the late nineteenth century. Growing up, there simply were no oral histories or traditions. I did not know anything more about my grandfather’s family. In the early 1980s my grandfather came to visit us. I had kids in diapers, a new mortgage payment, and I was doing everything possible to make it all come together. Even if he didn’t say very much, I loved it when Grandpa came to visit. My grandfather set a good and honest tone wherever he went. I remember one visit with the television set being on and me too busy to pay it much attention. It was just background noise in between diaper changes. Out of the blue, I hear my grandfather say “He’s one of Amos’s bunch,” as he points to the television set. The program he was pointing to was a drama about two young motor cycle officers with the California Highway Patrol – CHiPs. In those hurry-up-and-burp-the-baby days I simply filed this information along with the water bill. I’m not even sure I responded. Flash forward thirty years – I am now (reasonably) diaper-free. 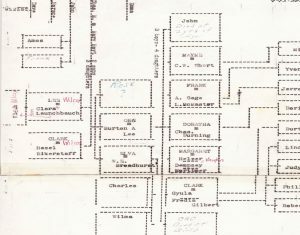 In going through some of my grandfather’s things, I found a scrambled piece of paper briefly describing his Wilcox family tree. [i] And there it was: “Amos ––.” However the line from Amos didn’t extend anyplace. Then in the back of my mind I hear the television set. It’s 1980, and I hear my grandfather’s voice saying something to me about Amos’s bunch, and a young fellow on a television show. About two days after this an answer came from the actor himself. Yes, he was one of Amos’s bunch – Amos Wilcox was his grandfather. 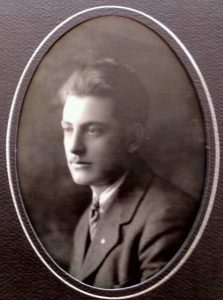 Amos, we later learned, was a first cousin to Dora Ono Wilcox – my grandfather’s mother. The reply I received could not have been kinder or more polite. My Wilcox cousin proved to be (and still is) an extremely articulate man with a keen interest in his family history. We made arrangements to meet and go over our Wilcox family lines – lines that had been obscured by a lot of sagebrush and dust throughout the years. Like a lot of family histories, this story started with the tale of two brothers, Charles Merritt Wilcox and John Franklin Wilcox, as they settled Wyoming in the late nineteenth century. Recently, with the help of that actor and others in the Wilcox clan, we’ve pieced together two halves of a family that had completely lost track of each other. [iii] It has been serendipitous to break bread with my great-grandmother’s family. It’s good to know I was listening to my elders that day in 1980. Oral traditions truly do leave us many clues if we are just open to them. Somehow grandpa got his message through that day even over the background noise of crying kids and TV theme songs. Stay tuned, though, as I am still looking for those Indians in the basement. 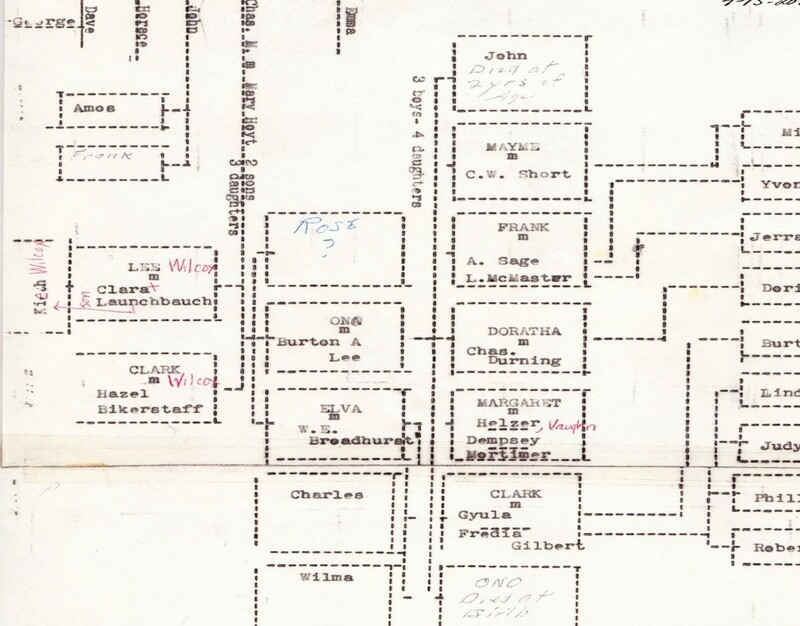 [i] Family records of Mrs. Frank White Lee, my grandfather’s second wife. [ii] Email correspondence with various Wilcox family members 2011–17. [iii] Family records of Mrs. Jack Kelly, nephew of Amos Wilcox Sr.
Great story – and ah, yes, I have a similar one. When I was at the stage of life to which you refer, my dad came to visit. He happened to mention that a family member, a cousin or uncle or some such, had left home to join the circus. Filed away….Then, when the Internet came to me in the year 2000, it was the first question I asked on a family forum. No answers yet, but if anyone knows anything about a Norman from Crab Orchard, Williamson County, Illinois who ran away to the circus, I’d love to hear from you! Thanks for reawakening one of my memories, Jeff. Most French Canadians in New England grew up thinking we had Native Americans in our ancestry. More times than not, we have been able to dispel that myth, however, I can empathize with you Jeff. We were told by grandparents that if we didn’t behave they “would give us back to the Indians!” Not quite as close a the basement but, close enough to calm us down……… Pauline Cusson, former employee NEHGS. Actually there was quite a few Indian/French Canadian intermarriages. They were sometimes called Metis. I am descended from two Indian/French Canadian intermarriages, Martin Prevost who married Marie Mantouebewich in 1649, and Jean Beptiste Loca dit Leveille who married Marie Parent. You can prove, or disprove, NA ancestry in you matrilineal line by having a mtDNA test. Native Americans have their own haplogroups. The matrilinealj line is mother to mother to mother back in time. “Indians in the basement” … in our house, growing up, it was … “I’ll sell you to the Gypsys.” The Romany (aka Gypsys) were infamous in the local media for coming around during the summer and promising to blacktop driveways, laying on a coat of oil and black paint and absconding with the cash. I never knew it to be true myself, but the threat was that if we misbehaved,we would be sold when they came around. Not politically correct today at all. Did Larry give you any good Hollywood stories beside genealogy stories? Wikipedia: Larry Dee Wilcox was born on 8 August 1947 in San Diego, California, the son of Marion G. and John C. Wilcox. He was raised in Rawlins, Wyoming, with his three siblings by a single parent – their mother. Have you followed the Wilcox line back to early colonial times? Perhaps you can help me make a connection. I’m stumped with my husband’s furthest back Whitmore ancestor in America, so now I am looking at FANS — friends, associates, neighbors — and see frequent references to Wilcoxes (using differing spellings sometimes). 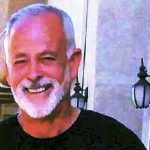 One, William Wilcox (Wilcocks) who came on ship Planter*, April 2, 1635, listed 7th great-grandfather Francis Whitmore among the “loving brethren of my family meeting” in his will. William came from St. Albons, Herts., England. He was a weaver. Could he have immigrated with Francis, who was a tailor? Linda, you refer to my immigrant ancestor, William Wilcockson; most of his descendants dropped the “-son” after a couple of generations. He was in fact from Derbyshire, as were many of the other folks who sailed on that ship. In those days you could not emigrate without a written certificate from a clergyman, testifying to your good and faithful character. Since these folks were dissenters, and their own ministers not recognized by the church, they often had to find a sympathetic member of the Church of England to recommend them. There was such an incumbent in St Albans. Lisa, with your permission I would like to forward this and your contact information to my Wilcox male cousins. Many thanks! Lisa, don’t know what happened that I didn’t read your email of a couple of weeks ago, and i’m certainly sorry. I must have been occupied with getting ready for our trip. My husband and I are in England right now, seeking information about Whitmores before they came to Massachusetts and Connecticut. We have made tantalizing connections but not yet verified where they lived in England. I just checked my records and find that Whitmores and Wilcoxes are 1st cousins 8 times removed and perhaps more closely tied through marriage, in the New World. If you have information about the Whitmores in England, I would greatly appreciate having it, so I can go to an archive while we are here.